Lt Col Michael Brady was an intelligence officer for over 20 years. Find out more about his first spy novel ‘Into the Shadows‘ on the Spybrary Podcast with Host Shane Whaley. This is the story of Michael Brennan, a career CIA non-official cover (NOC) intelligence officer and his quest to identify and disrupt a plot crafted by the Islamic State terror group. After Michael travels to Israel and meets with Israeli intelligence, he partners with Elif Turan, a Mossad agent working in Turkey as a false flag along the Syrian border. Together, they must use their skills and tradecraft to stop Islamic State’s scheme of introducing the deadly Ebola virus into New York City. Now let me tell you a bit about Michael. Lieutenant Colonel Michael Brady, USA, (RET), earned his MS in Strategic Intelligence from the National Intelligence University in Washington, DC in 2003. His classified thesis focused on the current and emerging issues confronting China and Taiwan. He has performed a wide variety of tactical and strategic intelligence functions including long-range surveillance, interrogation andintelligence analysis, He served as the Director, Presidential Emergency Operations Center in the White House from January 2001 until July 2002 under President George W. Bush. His areas of expertise and research include threats to the homeland, intelligence collection systems and programs, intelligence analysis, and intelligence support to national policy making. 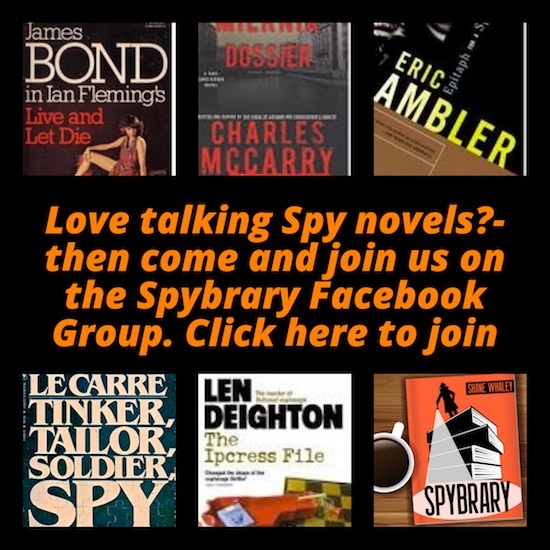 The point I am making here is that today’s guest knows his stuff when it comes to spying and now he is following the likes of Graham Greene, John Le Carre, Ted Allbeury and others who journeyed from the secret world to writing espionage fiction. 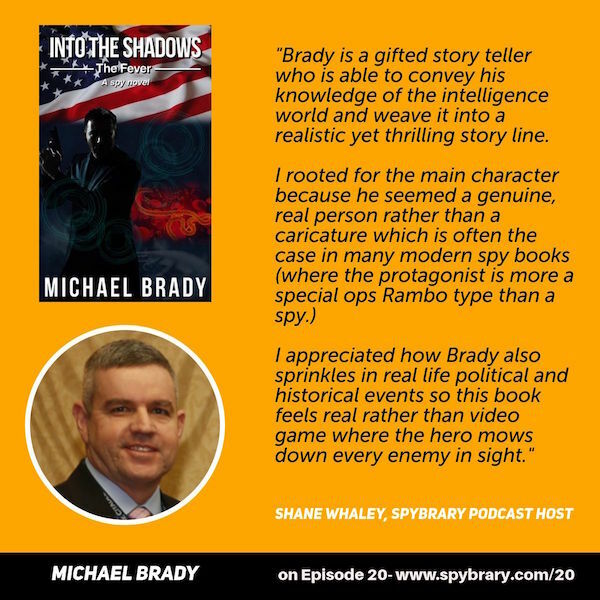 We talk about how Michael Brady’s background in intelligence contributed to ‘Into the Shadows’ in particular looking at the technology used by the Intelligence services today. It is a far cry from Harry Palmer and George Smiley! Brady also talks about the characters in his novel, the exotic locations and he shares with us what advice he would give to anyone wanting to join the intelligence services. And much much more! 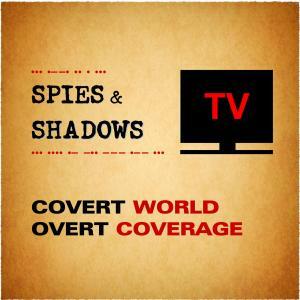 Links mentioned on today’s Spybrary Spy Podcast show. Check out the Sunday Spy Show with regular contributors from The ‘Prof’ Michael Brady.